There's nothing like having a world full of guinea pigs eager to blast bugs and crunch crashes in the name of making their software of choice just that little bit better. Thus Native Instruments are doing another round of public betas for Traktor in all its flavours, but for existing owners only. Building on the solid foundation of the latest version, NI are adding some key features to make your DJ life even better. I don't know about you, but the Mixvibes product line has left me a little confused. Where does the DVS pack stop and CROSS start? How exactly do they overlap with each other? Well clarity is coming via the next update of Cross, seeing timecode CDs and vinyl plus the standard U46mk2 being released as the CROSS Pack. It's update week in Deejayville apparently. Scratch Live, ITCH, Traktor (oh wait you haven't read that yet), and now another incremental update for DJDecks. Hurtling snail-like towards v1, v0.96 adds some stuff, fixes some stuff and makes some stuff just that little bit better. I'm in the minority in that I'm rather more familiar with Serato's ITCH than I am Scratch Live, if only down to the fact that I've had Numark's NS7 and the Vestax VCI-300 in my hands in quick succession. And now the second update is here - v1.1 aims to develop the feature set in line with user feedback, exterminating a few bugs and add some key features that SSL users have enjoyed, such as Whitelabel.net support and full history view. 6 years ago, I started skratchworx as a turntablist specific gear site. But as the years passed and technology evolved, skratchworx filled a niche to become a widely respected generic DJ technology news and reviews site, leaving the scratch scene somewhat behind. But turntablism is my passion, so to pick up where skratchworx left off, I've started www.skratch.dj - a site aimed entirely at the wider skratch scene. It's all about artists, battles, events, releases - anything goes really. An NI story is followed by a Serato story - what are the chances of that happening? Scratch Live v1.9.1 is out right now, with a heap of bug fuxes and a greatly expanded sampler section. And bugger me if they didn't go and make a demo video showing just how busy they've been with the sampler too. Brulliant! When Native Instruments announced Traktor Scratch Pro, it contained the Audio 8 DJ sound card. Oh how we ooohed and aaahed at its sleek lines and killer feature set - but it came with a price that left some people left out in the cold. So NI duly obliged with a baby sibling called the Audio 4 DJ to go with the 2 deck Traktor Scratch Duo. Can you see where this story is going? The Audio 2 DJ is upon us - same quality, just teensy weensy and packing a lot of heat inside the case. While the ability of the iPhone as a full on DJ setup is still in question, there's no doubt that apps do exist that make the DJ's life just a tad easier. Tonetable is one such app. 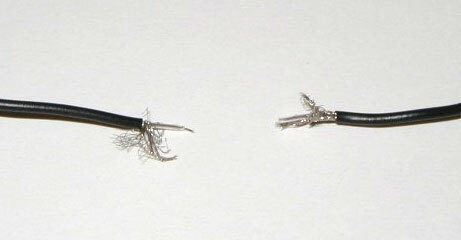 Imagine you're rocking your favourite DVS system somewhere and your needle breaks, just when you forgot to pack a spare. Or perhaps beer gets spilled all over a deck and renders it a sticky unusable flaming mess. Just plug your Tonetable enabled iPhone into your mixer and you've got a timecode rocking if miniscule deck. Genius. All change for Numark's range of MIDI controllers - the hardware remains the same, but Cue LE is gone, being replaced by the hugely popular (industry standard is such a transitory term these days) Traktor LE. It's a wise move - Traktor LE is a lot better and I imagine the upgrade path to the full Traktor is a real attraction as well. Is this the ultimate in irony? When you buy the vinyl emulating NS7, real vinyl takes one step near the abyss of oblivion. But now Numark are redressing that balance a little by offerring replacement coloured vinyl for the more image conscious DJ. Computers are part and parcel of a DJs setup. But there's still aren't a huge amount of DJ specific laptop stands, especially when it's a market that is much easier to enter than making decks or faders. 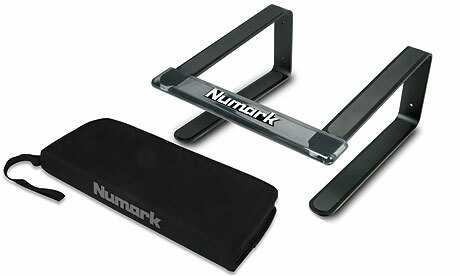 So Numark have added one to their range - LAPTOP STAND (first person, all caps) is one such DJ specific ummm... laptop stand. Plug and play is a nice idea but isn't always practical, especially when faced with the opposing worlds of RCAs and USB. I'm pretty sure that carefully hammering your Technics RCAs into a spare USB port on your laptop is on the whole going to yeild quite disappointing results. 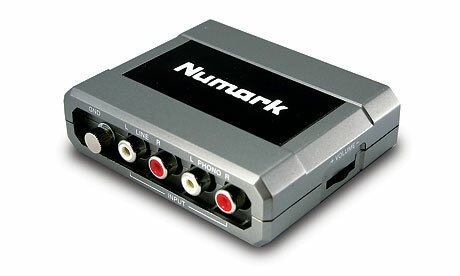 But Numark have the answer - STEREO|iO can take output from your RCA endowed audio device and convert to USB output to your computer. It's Summer NAMM and the mighty corporate behemouth of Numark, Akai and Alesis have a few things they'd like you to know about via the medium of skratchworx. So prepare yourself for posts full of spangly new stuff. First up - some new affordable table top CD decks. 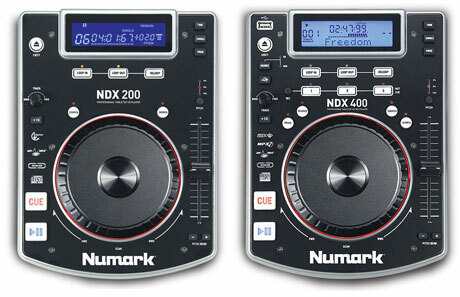 The NDX200 and NDX400 are full of everything you would want from such devices plus a few extras, but at a price that doesn't make you wince. Even if Summer appears to have bypassed my garden, Summer NAMM is upon us. And one or 2 bits of new gear have leaked out of the Akai PR department - most notably for DJs are the LPD8 and LPK25. Arriving just in time to divert attention away from the oh so recently posted Korg Nano controllers reviews, the LPD8 in particular looks like a winner for DVS users. Back in the olden days, before computers were even thought of for music, we old timers had to record mixes in one go. You had to make tough decisions on the fly about whether your screwups were OK to leave in the mix or if you had to start all over again. 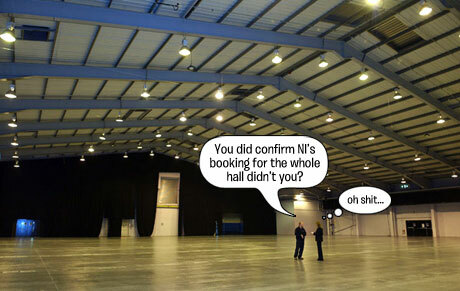 These days however, all you bloody so called DJs are spoonfed with every possible luxury to make your life easier. 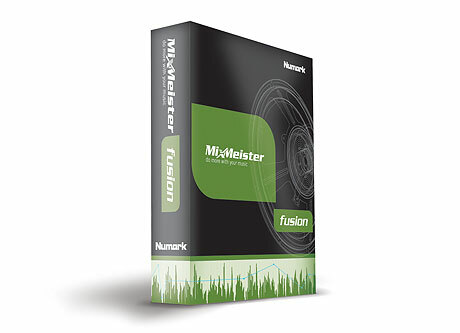 One such luxury is MixMeister - a tool that is absolutely perfect for mistape creation. Yorick reluctantly agreed to take it on, and ended up falling in love. The problem with using computers for DJing is the whole using of the computer part. It's intrustive, awkward and none too pretty to watch as a punter. Thus assorted companies already clued up in such things are bringing out various bits and bobs to make the experience better for everyone. Korg clearly took my advice (you know you did) and made some pocket sized controllers to suit a number of needs. Flexinoodle got sent a NanoPad, NanoKey and NanoKontrol and applied his considerable MIDI expertise to give them all a good workout. You may remember a piece about Serato trumpeting the brilliance of vinyl and setting up a project called Serato Pressings specifically designed to give you very limited edition releases in actual real vinyl. 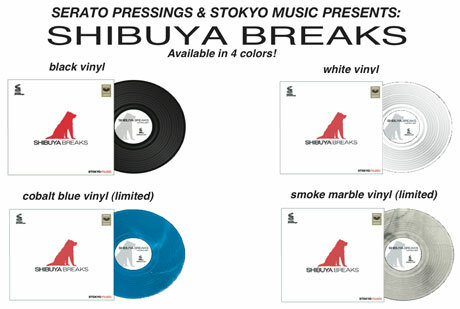 Previous releases have been from different artists, but the new Shibuya Breaks release is all about servicing DJs wanting familiar scratch sounds at hand as well as the Scratch Live control tone on one piece of vinyl. Coming away from MusikMesse, I was shown something that excited me greatly. Not just because of what it was, but also because of the implications on other products on the market. But I couldn't say a word. Now voted the world's worst but unconfirmed secret, Vestax's VFX-1 ITCH effects controller is now confirmed and officially official. Just a little something to make you smile. I saw this ad on TV the other day and found it on Youtube this morning. Just some mindless snack based scratch fun to lighten an otherwise dull Friday. You may recall my piece on the future of trade shows, specifically sparked by the absence of 2 major German companies from MusikMesse, both with releases at that time. Well it seems that my 6th sense was bang on the money, because Native Instruments has made the bold decision to not bother with the time and money sucking black holes that are trade shows henceforth. I received an email this weekend from an unhappy reader, who decided it was OK to have a go at me for using the familiar and dare I say it industry standard scratch sounds. It's an argument that has raged inside the scratch scene for years now but I'm interested in what the rest of you scratchers and non-scratchers think about this subject. Is it OK to scratch ahhhh and fresh anymore? J1M for DMC UK champ!! 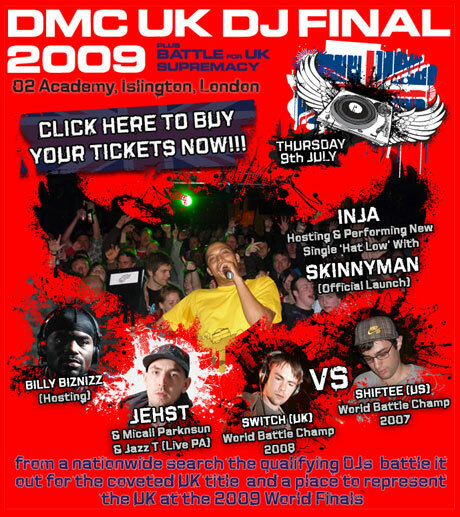 This Thursday sees me heading off to the bright lights of London, to see the 2009 UK DMC finals at the Islington Academy. The flyer above tells you who's on, but of most interest to me (and the major reason I'm spending money I haven't got to go to a city I don't like) is to cheer on skratchworx's own Johnny 1 Move, who does stand a good chance of taking the title. Just when you think you've seen it all, something turns up that puts a fresh spin (hahahahaha) on DJing and music making. Essentially a fun project from Microsoft surface developers VectorForm, Surface DJ brings something more creative than the other surface apps seen before, and allows you to drag instruments onto the surface turntable to make all new tracks. And a mini version is available for iPhone too. It seems that while I was away from the internet, absolutely nothing happened. Yes people - the industry is in recession and the normally active R&D labs and PR departments are playing Solitaire on their computers or retweaking their Myfacespacebook profiles. But thankfully in this tumbleweed central news free scenario, some people are still pushing envelopes, crossing lines and thinking outside boxes. Say hello to OTTO - an all new box of tricks for jamming with loops. Aside from my deceased but now resurrected broadband line, it seems the last few weeks have seen more than the usual number of losses in the world. But one specifically related to the DJ world is that of DJ Woody. But fear not - it's in name only. DJ Woody is dead - long live Woody Madera. 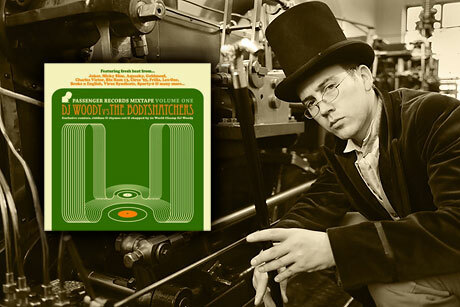 And in a parting gesture, he's got together with The Bodysnatchers and put out one last mixtape under the old DJ Woody moniker. But I got a mail a couple of days ago that I felt was worth taking the time to fight with my ADSL line to bring to your attention. I've bemoaned at length the near total lack of customisation for DJs and their gear, largely down to the absence of standards. Wouldn't it be nice if faders, pots and sliders where all easily interchangeable and available off the shelf as 3rd party spares? 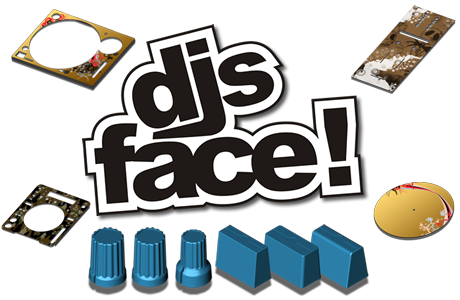 Well DJs-face! aims to give you a step in the right direction with the ability to order fully customised faceplates AND fader caps AND knobs in a variety of colours and sizes. Skratchworx followers on Twitter will know that I've been trapped for close to 4 weeks in a slugish support line spiral of phone line death with o2 and BT to get my landline fixed, thus updates have been thin on the ground. This time of year traditionally sees news dry up to a trickle anyway, but combined with the recession, getting news worthy articles as rare as my connection to the interwebs. But I just wanted to stop by and let you know that the wheels on the skratchworx bus are still going round and round, albeit everso slowly.